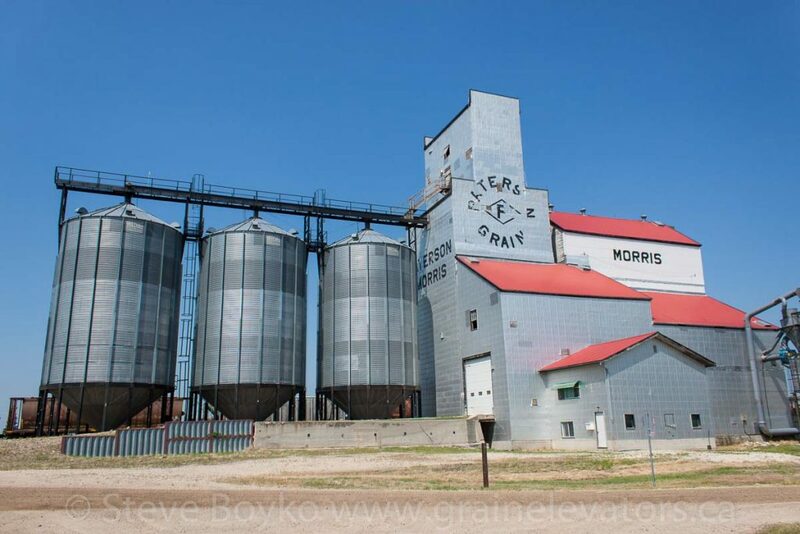 There are two grain elevators in the town of Morris, Manitoba – one owned by Paterson and one by Cargill. N.M. Paterson has a modern high-efficiency elevator at the south end of the town. 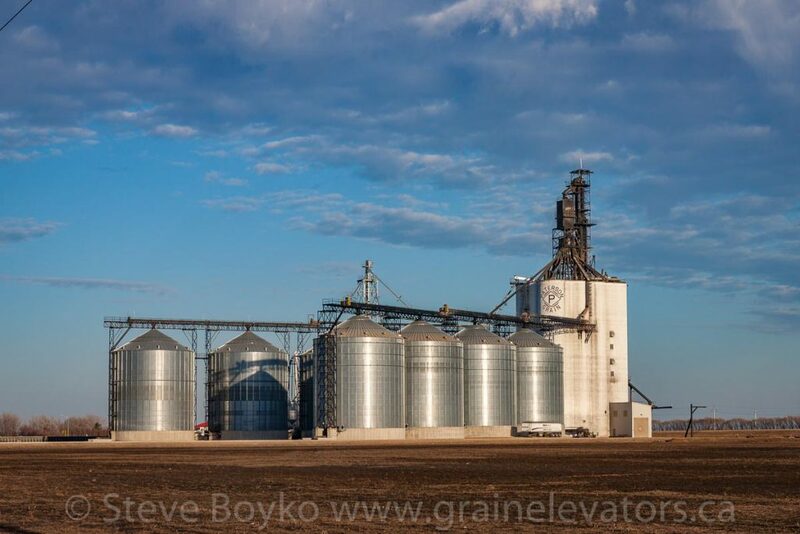 This concrete elevator has a number of bins and several tracks. This elevator had a capacity of 8,800 tonnes in 2000, expanded to 22,000 tonnes in 2002, 26,000 tonnes in 2004, and finally to its current capacity of 42,000 tonnes in 2009. This elevator is served by both CN and CP. The Paterson grain elevator in Morris, MB, April 2017. Contributed by Steve Boyko. Until recently the oldest Paterson elevator in Morris was this wooden grain elevator, located on the CN Letellier subdivision. Morris, MB grain elevator, July 2014. Contributed by Steve Boyko. This elevator had a capacity of 4,080 tonnes. 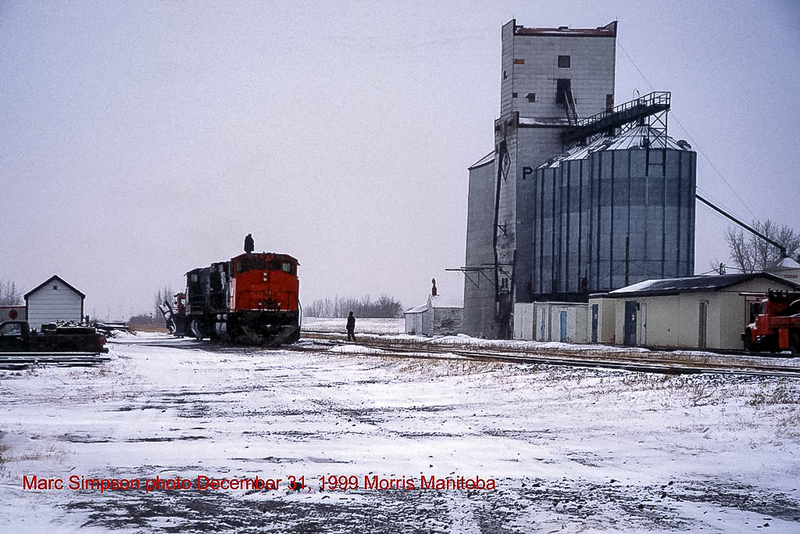 Southern Manitoba Railway 3516 in Morris, Dec 1999. Contributed by Marc Simpson. Demolition of the Paterson elevator began in early 2017. The annex was demolished on April 29 and the main elevator came down soon after that. Cargill grain elevator in Morris, MB, Apr 2017. Contributed by Steve Boyko. 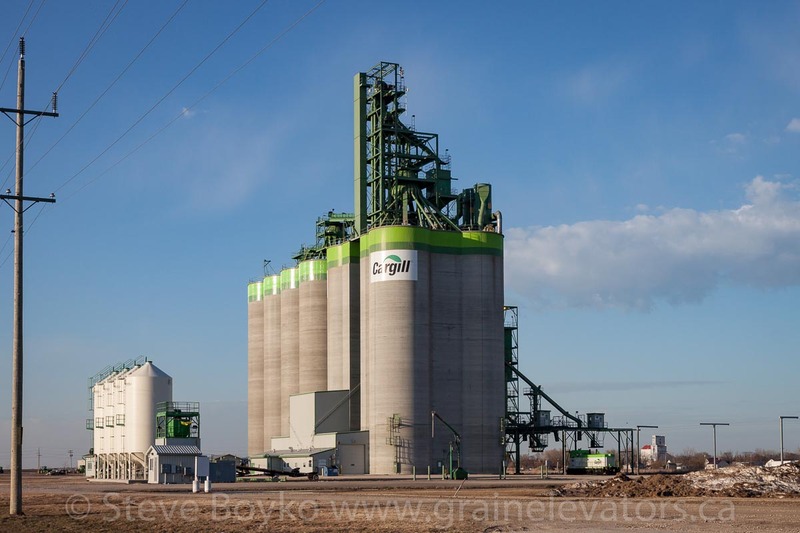 The other Morris grain elevator is the newly-expanded Cargill high-throughput elevator. Until recently there was an older wooden Cargill elevator there, but that was demolished during the expansion of the concrete elevator. 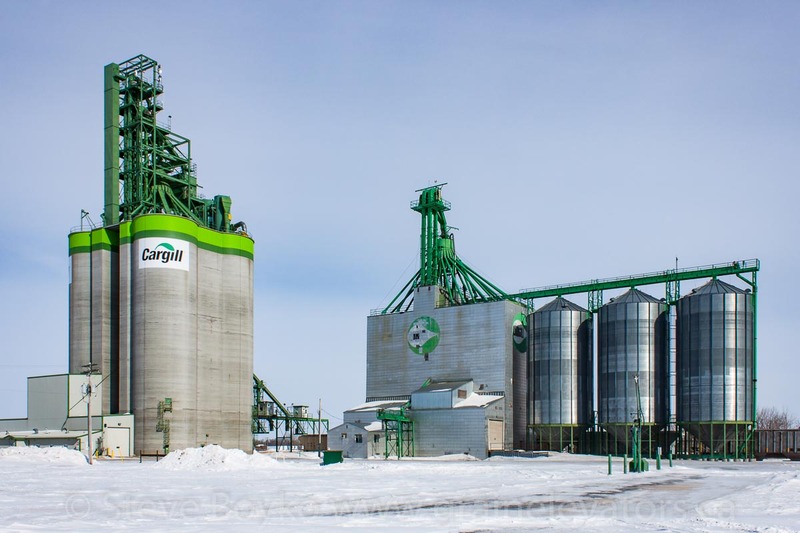 Cargill grain elevators in Morris, MB, Feb 2014. Contributed by Steve Boyko.